Ducks are perceived to be weak and frail. But anyone who’s ever tried to go on a duck hunt will tell you that they are perceptive creatures. Mother Nature has bestowed these animals with an excellent vision which surpasses that of humans. This sense of sight coupled with their flight capability and hearing ability give them powerful defenses against predators. This is why every possible (legal) advantage is welcome when hunting these creatures. Hunting waterfowl can be quite challenging. Aside from understanding how to call and having good shooting skill, knowing how to build a duck blind is a very useful skill. Duck blinds are artificial structures utilized by hunters to enhance their chances to line up good shots. Not a very easy task when up against easily spooked birds with heightened spatial awareness. 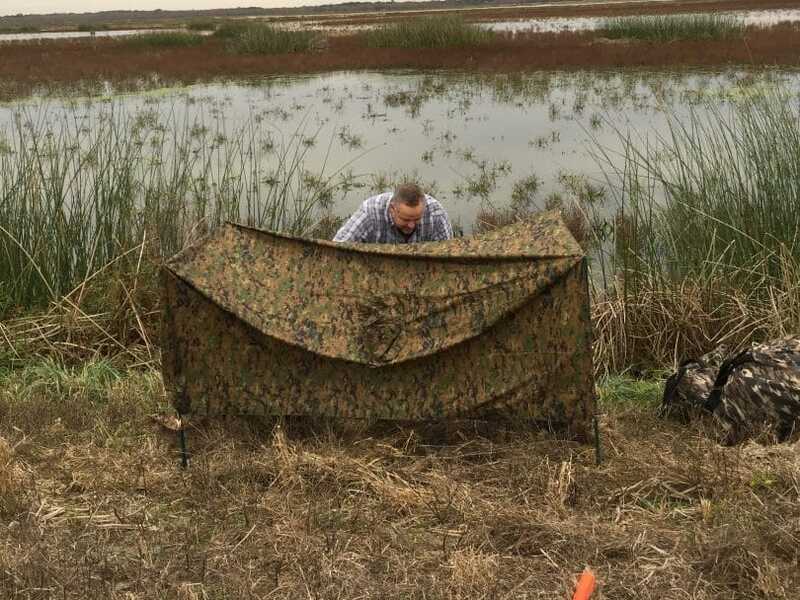 Duck blinds create additional cover and camouflage for hunters, allowing them to wait in a set location for extended periods. Blinds can also serve as secondary shelters providing protection against cold, wind, and rain. One of the best ways to take a lot of ducks is to do so from within the confines of a well-built duck blind. These hunting aides can help make a wonderful hunting experience. The great thing about them is that they can be simple or elaborate and they can still work wonders to increase the amount of game you bring home. For newer hunters, knowing how to quickly build a duck blind while working with a tight budget is a worthwhile bit of information.Duck blinds can be built with a wide variety of materials and designs. Putting together a simple one isn’t all that difficult. But before we get into setting one up, here are a few things to consider before going through the motions of building a DIY duck blind. Prior to actual construction, there are a couple of things you should do in preparation for building the duck blind. This is especially the case if you aren’t too familiar with the area in question. Identify the ideal spot (or spots if you intend to put up several) for the blind. The first and most obvious question is: are there ducks in the area? If not, then it’s a moot proposition. Second, you should check whether or not building one in the area is allowed. This means you have to check state regulations and if hunting on private property, you’d best ask for the land owners permission. This is best done right at the end of pre-season to maximize the amount of hunting time you can get. In terms of positioning, it’s a good bet to position the blind upwind. When you do this and position decoys properly, you can have ducks landing right in front of your blind. 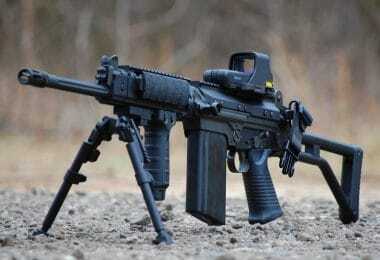 This can make for some pretty easy shooting. A lot of duck blinds can usually be built with some spare wood and wire lying around at home. Simple duck blinds are no less effective than elaborate ones. Though a bit of effort goes into getting comfortable. You may want to do some shopping at your local hardware store to replenish supplies if you’re running short. Also, it helps if you’re able to do as much prep work such as painting before actual construction, as the best place to build the blind is near your spot. It will be a hassle to lug around your blind once you’ve already built it. Prior to building, you will want to figure out the amount of investment in terms of time and finances you will want to put into making this duck blind. From there you can go to picking out which type of duck blind you will want to build. You can put one together for next to nothing, or you could spend a little more time, effort, and money for a comfortable blind. Also, you should be considering who you intend to hunt with. If your intent is to introduce your kids to the sport, you might want to invest in building something that’s a bit comfortable. How many people? – How many of you will be hunting from that blind? All of you probably won’t be spending the entire days in the blind, but you should allocate enough space for everyone. Budget – How much are you willing to spend? Don’t worry it’s easy enough to get this done without breaking the bank. In fact, there are ways to get one up and ready in less than 15 minutes with next to nothing. Duck blinds have a generic structure. With some parts more necessary than the others. The construction will generally vary with the materials used and the work that go into the building process. This is an essential part of the blind. It is what will be primarily concealing you from the ducks. Since this part directly fronts the water or field where you intend to hunt, it must be well concealed. Normally it is supported by 2-3 vertical posts that dig into the earth for some stability and a horizontal post or two as well for structural soundness. This is then usually draped with camo fabric or camo netting on the outside. It is possible to purchase netting and have grass woven into the netting for even better concealment. Then an outer layer of locally secured foliage is added on site to make it blend with the environment. 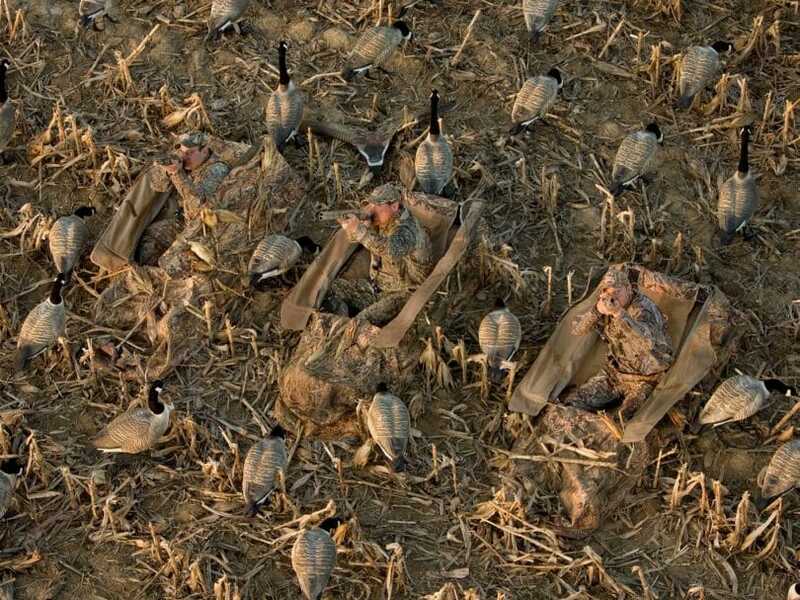 The last bit is the most critical as local vegetation provides the best possible means for your blind to blend in. This is pretty optional as far as duck blinds go, but it can make duck hunting a much more comfortable experience. Some duck blinds will make use of natural shade to save on cost and construction time. Duck blind roofs are usually only partial as you will want a good view of the sky. Roofs that provide complete overhead cover will need viewing ports and an opening mechanism to allow you to pop up and take your shots. A blind built with a roof will usually have some walls around as well. This will help protect you from the elements and will potentially give you something to lean on. 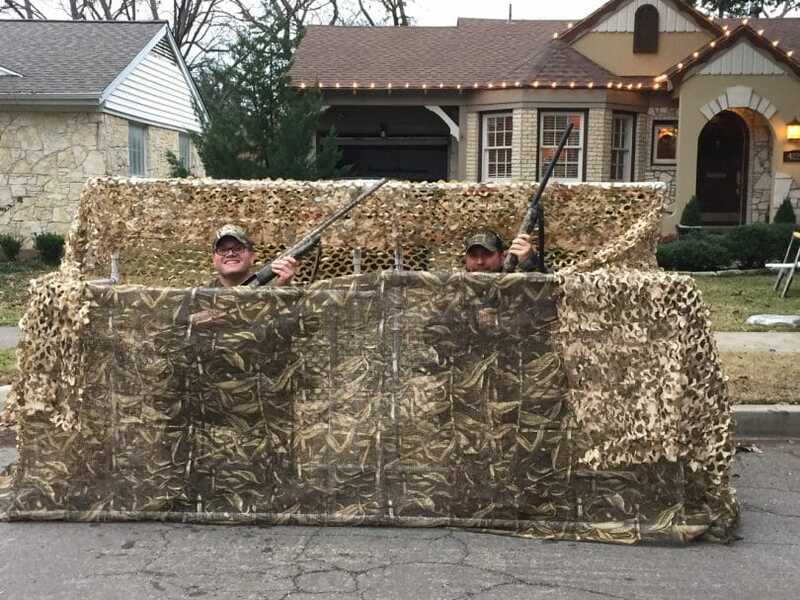 However, building a duck blind with walls greatly increases the amount of work necessary as well as the effort needed to conceal the duck blind. Again, optional. However, this is going to factor in especially for those that are a bit older. More rugged and minimalist duck blinds will probably make use of slightly sloping terrain. You can dig out a mound to sit on. Alternatively, you can bring a compact folding chair. But this will be a bit tougher in the long run. Check out our review of the best compact camping chair to help you. There are a lot of ways to build do-it-yourself duck blinds we’re going to go through a few very cost effective ones below. Description: This duck blind is really quick and easy to set up. Everything you need to bring will fit right into your backpack. This is ideal if your spot is far from your truck or if you just want a secondary blind if you want to split from a group. Though it isn’t going to provide much in the way of comfort, but it will get the job done. Also, you can easily take it apart, and easily take the camo netting for eventual future use. Quick setup, easy to take apart. You can have everything you need in your pack. You don’t need to lug anything around. Not all that comfortable for sitting. Shooting from the position might not be comfortable either. Won’t do much against rain. This blind makes use mostly of vegetation you can acquire on site, so you might be gathering for some time. Get four branches that will serve as the posts of your blind. You will probably have to get more if you have companions. Hammer these down into the ground with the back of your hatchet. 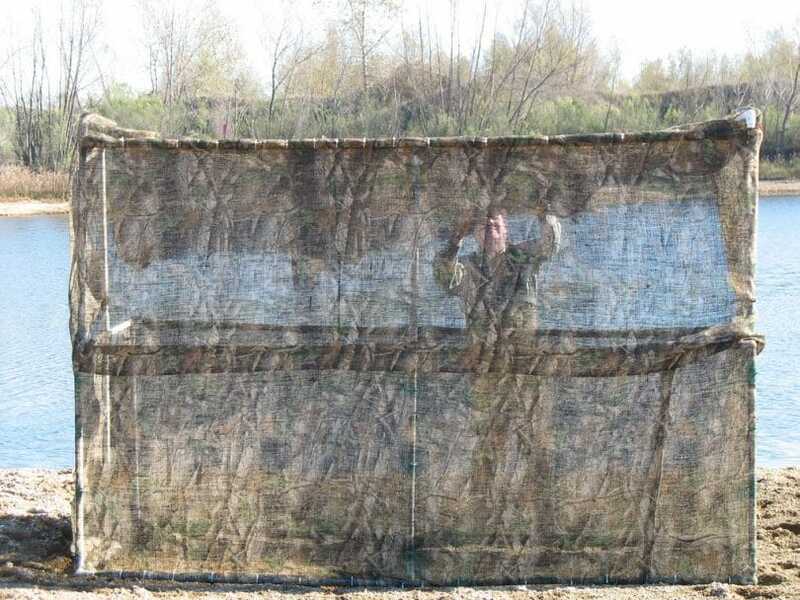 Drape camo netting around the blind. You can leave one side without netting, this will serve as your entrance. Stack branches and foliage around the camo netting. Set taller branches and foliage behind you reaching over your head, this serves as a “roof” of sorts. 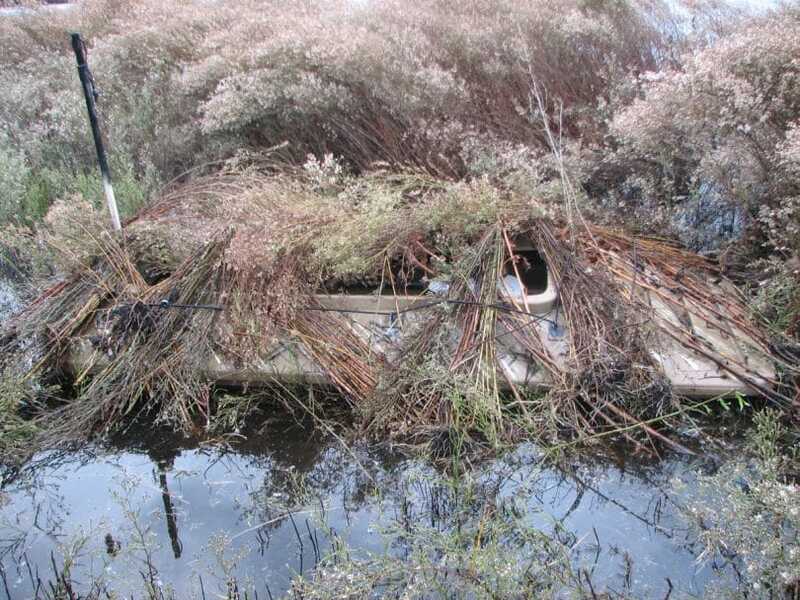 Description: This duck blind is a relatively low-cost and an easy to build, portable blind. The materials are easy to acquire and put together. 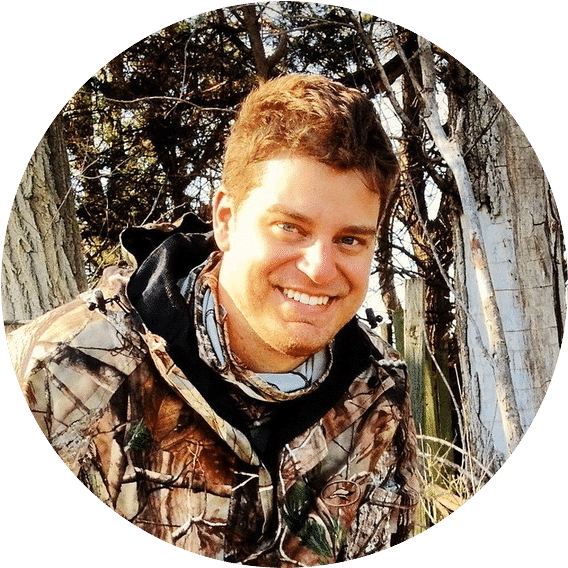 Since the build simply covers the area covering the front of the hunters, choosing the spot and properly acquiring vegetation on-site is going to be critical. That being said, the blind is very easy to dismantle and load onto your truck. It’s also potentially reusable assuming that it doesn’t take a huge beating from the elements. You can set comfortable seating right behind it. The wind might get the better of it. Spray paint the PVC pipes with either brown or green camo. Make sure that the paint being used is a flat color to help the pipes blend in with the surroundings. Once the paint has completely dried, use the wood file (or knife if you are willing) to create notches give or take ½ inch from the top of the pipe. These grooves are ideally ¼ inch deep. Do this for both sides of each pipe. Repeat on the other end of the pipe. But this time the grooves should be roughly 1ft from the bottom of the section. Do this for all PVC Pipes. Roll the camo netting out flat on the ground. The darker portion should be facing the ground as this will be the side facing outward as you put up the duck blind. And set the PVC pipes evenly along the netting. Be sure to have the ends with the 12-inch space allowance at the bottom. Thread the PVC pipes into the pre-made holes in the fabric. Once you’ve done that, be sure to fasten the ends of the PVC onto the fabric via zip tie through the holes. Add some two to three zip ties somewhere in between to firmly secure the fabric onto the pipes. Repeat for all the PVC pipes and spread them out evenly to maximize the utility of each plastic zip tie. Cut each of the skirts into three even sections along the “garter”. Fasten these smaller sections at the base and around the center with zip ties. Attach a section of a skirt onto the top of each PVC pipe. To make it sturdier, thread the sections through the holes in the PVC pipe. This provides added durability. You can add more strands here and there in the between the tops of each PVC pipe for added concealment. Fibers should stick up roughly 10-12 inches above the blind. These fibers will work wonders in concealing you inside while allowing you a good view of any wayward ducks flying overhead. When that’s done roll it up and store in preparation for setup. When you begin to set up, head to your designated location and push the ends of the PVC pipes into the dirt or mud. This shouldn’t be hunting if you’re hunting in a marsh or right by a river bank. But if working on some solid ground, you can choose to pound some rebar or landscaping stakes/pegs. This provides added stability that will benefit you, especially during windy days. Set some nearby vegetation around the front and side of the blind. For added concealment, you can position yourself near some natural cover. Description: This blind primarily makes use of standard sized 40 x 48-inch pallets. Some of these are practically thrown away by warehouses and you can get them for free. Sometimes you can find them for free on sites like Craigslist and next to nothing on sites like eBay. The great thing about these types of blinds is that they can be made to be relatively sturdy. After acquiring pallets, spray paint them with a flat brown or green color. Lay down two pallets side by side at the chosen spot. This will serve as your floor. One pallet is nailed standing onto the left and right side of the front wall. These will be the side walls. Which provide a degree of added protection against the elements and the view of a duck flying overhead. Another two pallets will be nailed at the rear, a small amount of space must be allowed in between these two as it will serve as an entrance and exit. Your dog will also be using this opening to go and fetch your eventual kills. For roofing/shade, the blind can be positioned underneath natural shade. Alternatively, thicker bits of vegetation can be positioned atop it for added shade and concealment. 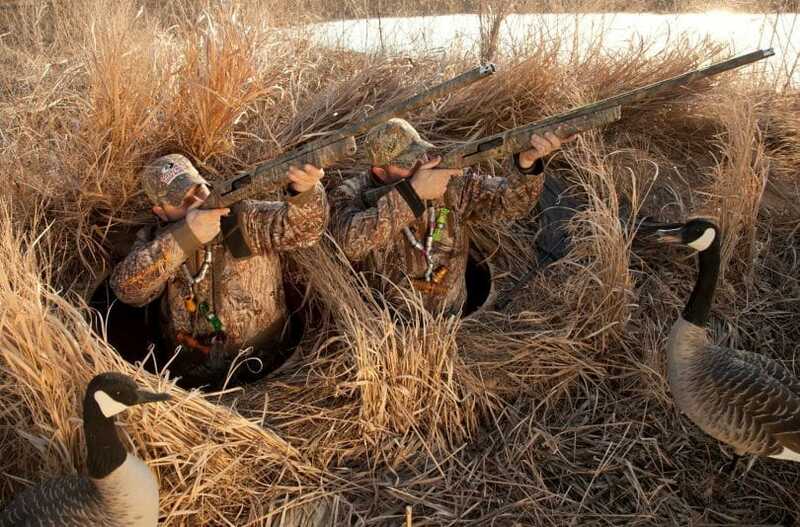 Cover the front of the blind with nearby vegetation. It’s important to get varying types of glasses and plants to help it blend in. A single type of plant covering a structure such as your blind may be seen by game as an unusual part of the surroundings and might cause them to back off. Cover the side walls and rear walls with a bit of vegetation. It doesn’t have to be as thick as the concealment set in front. However, birds will be flying and this means that their visual range will cover a wider area. For seating, you can bring a folding chair or two. 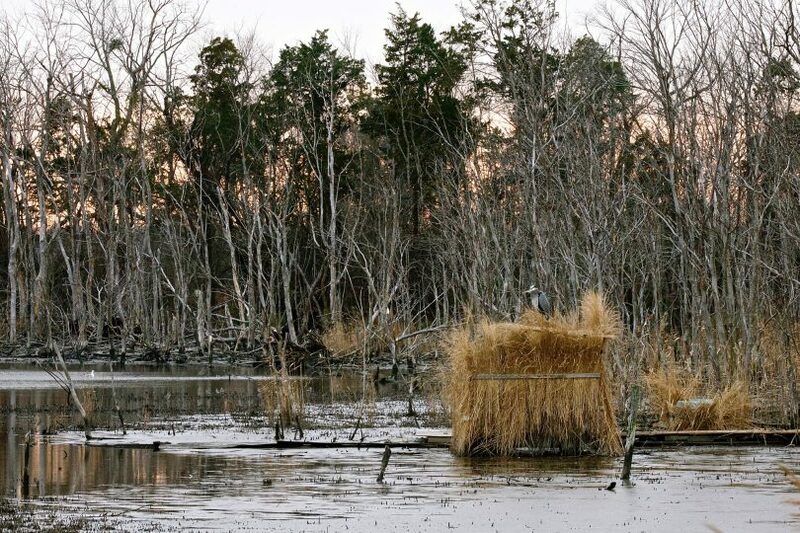 Those are only a few of the many ways you can set up a homemade duck blind. To be frank, the process doesn’t have to be difficult nor does it have to be expensive. 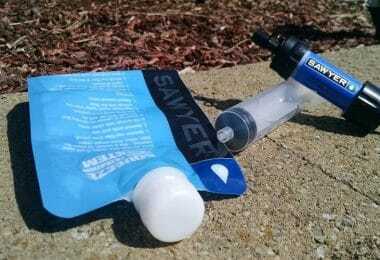 A bit of elbow grease, cheap, and readily available materials are all you need. Do read on our review of the top duck hunting gun before your next hunting expedition. Duck hunting is a sport that encompasses financial strata. People working on small and large budgets alike can definitely enjoy the sport.